VIRGINIA TECH professor Liviu Librescu shielded the people he cared about when the world's madness erupted around him. On Monday, the engineering science and mechanics professor reportedly blocked the doorway to his classroom trying to save his students from the rampage of an enraged student gunman. Many years earlier, a young Librescu had protected his mother during the Holocaust when his father was sent to a labor camp in their home country of Romania, Librescu's son Lionel said by phone from Israel yesterday. "My dad was all alone hiding and trying to feed the family," Lionel said of his father, an only child in a Jewish family. "He was around 10, 11 or 12. He was mostly taking care of his mother. He was pretty much alone." A Holocaust survivor, Librescu, 76, died Monday after student Cho Seung-Hui, 23, shot him and more than 40 others on campus. Rabbi Marvin Hier, founder of the Simon Wiesenthal Center, said yesterday that it was ironic that Librescu was killed on Holocaust Memorial Day. Librescu was one of two professors in the school's Department of Engineering Science and Mechanics killed by Cho. The other, Kevin Granata, 45, was a rising star in biomechanics. In interviews yesterday, colleagues of both professors recalled their love for their work, and their kindness. Librescu would have been teaching his solid-mechanics class in Norris Hall on Monday morning, according to the department's online calendar. When Cho stormed toward his classroom, Librescu barricaded the doorway to save his students, the Associated Press reported. 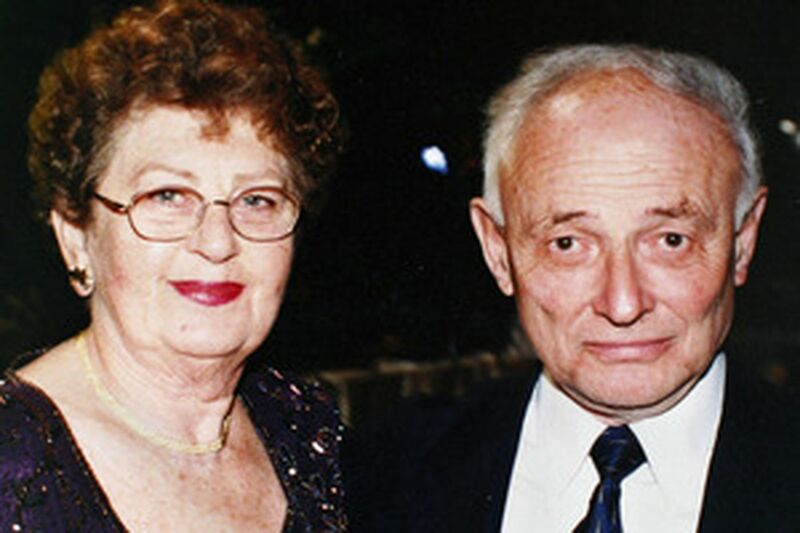 Librescu had moved his family to Blacksburg, Va., from Tel Aviv more than 20 years ago. "The place itself was a little heaven - small, quiet, peaceful, green," Lionel said of Blacksburg, Va., home to Virginia Tech. The university offered his father the opportunity to do the kind of research he wanted to do and to see its application in industry, Lionel added. Librescu's colleagues said his specialty was aeroelasticity (studying the stability and dynamics of airplane wings) and composite structures. "All the time he was very enthusiastic, as if there was fire under him," said Professor Ali Nayfeh. Professor Muhammad Hajj said "it would not amaze me" to hear that Librescu had acted as a human shield to save his students. "He would do it." Virginia Tech Professor Hassan Aref and Edward Smith, a Penn State professor, said Librescu possessed the Old-World charm of Eastern Europe. At conferences, he would dress conservatively in a gray suit, instead of in an academic's sportcoat, Smith said. Born in Ploiesti, Romania, in August 1930, Librescu earned his bachelor's-through-doctoral degrees in his home country. In 1966, he married his wife, Marilena. The couple had two sons, Joseph, now 40, and Lionel, 36. Lionel, speaking from his home in Ra'anana, a suburb of Tel Aviv, where Joseph also lives, said life was difficult in Romania for his father under Communist Party dictator Nicolae Ceausescu's rule. "Even though he [Librescu] was given a lot of professional privileges in terms of advancement and what he worked on, if you were not a member of the Communist Party, then you couldn't advance to a certain degree," Lionel said. "Second, being Jewish, that did not help things, either. There was a lot of anti-Semitism during those years." The family moved in 1978 to Tel Aviv, where Librescu taught aeronautical and mechanical engineering at Tel Aviv University, then to Virginia in 1985. The quiet family home in Blacksburg was a place where Librescu could write and conduct research. "He didn't believe too much in leisure time," Lionel said. "All his life revolved around academia." When he did vacation, his father would travel to the mountains in Northern states or to Florida, Lionel said. His father will be buried in Ra'anana, where his mother plans to move, he added. Adam Reardon, 23, a Virginia Tech senior aerospace- engineering major from northern Virginia, was Librescu's student. Staff writer Simone Weichselbaum contributed to this report.